For Native peoples across the continental United States, the wolf has been in important figure in creation stories, ancestral heritage, and a connection to spiritual beliefs and awareness. 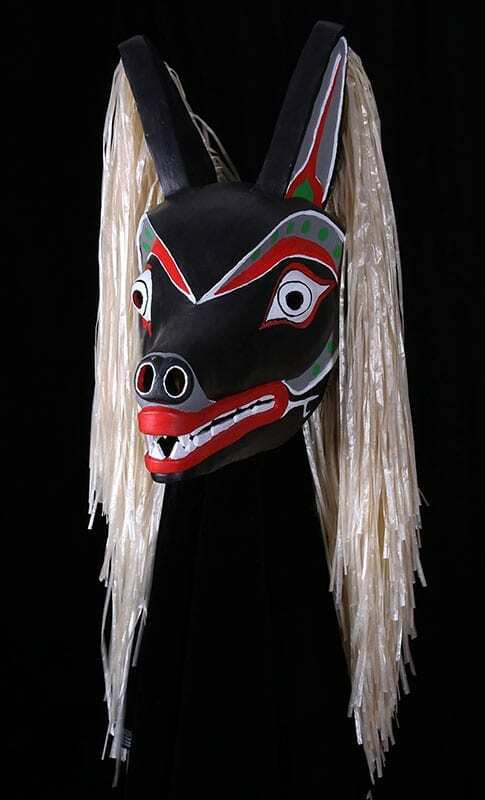 This particular animal mask has been crafted in the Pacific Northwest style. It is important to note that this is one of many variations of form for the wolf, and that throughout history his imagery has changed, but his importance to Native peoples has not. Give us a howl and let us bring new forms to life by ordering your own custom made mask from mask maker Jonathan Becker today.